It's a modest start to much larger plans. After months of waiting and no shortage of hype, Tesla's first Model 3 is finally rolling off the production line. Elon Musk has revealed that the initial production unit is ready (not pictured as of this writing) pending a "final checkout." Musk will get the first car, as he has with earlier models, but he didn't call dibs -- while Ira Ehrenpreis was the first to plunk down a full deposit, he gave that spot to Musk as a birthday present. It's safe to say that either would be part of an exclusive club given that a mere 30 Model 3s will reach buyers by the end of July. It's not certain just how much has changed on the Model 3 since it was unveiled back in 2016. You likely won't get the full scoop on that until a handover party scheduled for July 28th. However, Musk has already hinted that there shouldn't be any dramatic changes versus the release candidate prototypes that appeared in March. The past few months have largely been spent tweaking and testing components to ensure the Model 3 is ready for the road. It's a largely symbolic announcement when most Model 3 pre-order customers won't even get their vehicles until 2018. Production is only slated to ramp up to 20,000 cars per month by December, which hardly puts a dent in the hundreds of thousands of reservations made since last spring. With that said, you really are looking at the start of Tesla's next chapter. Musk and crew can now say they're producing EVs aimed at the mainstream (albeit the higher end), not just a subset of the luxury car crowd. Has Tesla Model S and Model X Demand Peaked? Tesla co-founder and chief executive Elon Musk has shared the first images of ... Mr Musk tweeted a picture captioned "First Production Model 3" on Saturday. 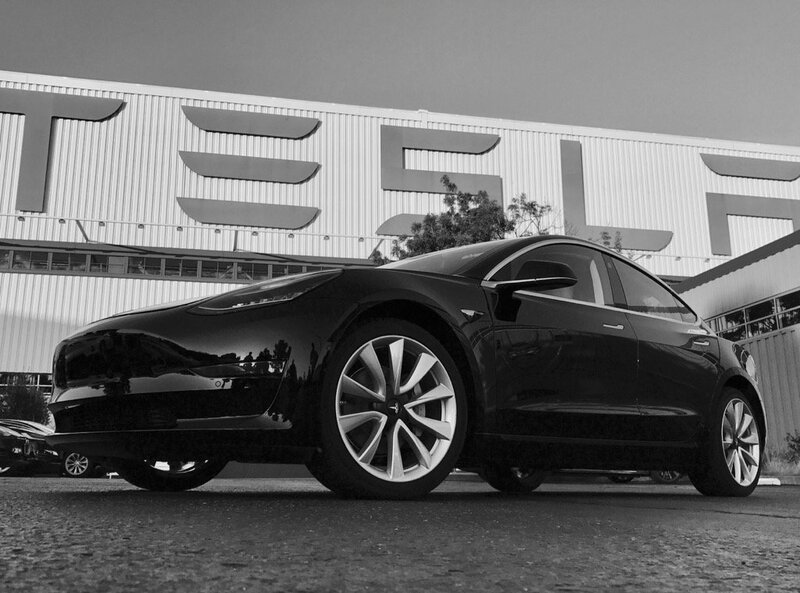 Tesla has been working on a limited production run of the Model 3 electric car. The first 30 new cars are expected to be delivered to customers on July 28. Elon Musk gets first Tesla Model 3 as his 46th birthday gift; everything you need to ... CEO Elon Musk has been gifted the first production model of Tesla Model 3. Musk tweeted earlier that the first production model of the vehicle was being constructed and undergoing a final check before posting two photos of the car. Before unveiling pictures of the historic auto invention, Elon Musk tweeted, “Production unit 1 of Model 3 is now built and going through final checkout. Pics soon. Musk tweets first photos of Tesla's mass market electric Model 3 ... co-founder Elon Musk tweeted on July 9, 2017, a photo of the first production Tesla Model 3. 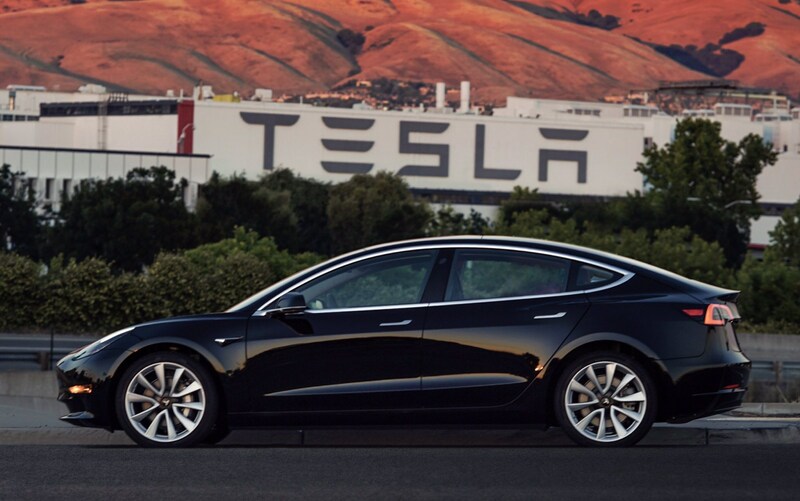 The Model 3 is an incredibly important vehicle to the company, as its the first 'affordably priced' car from Tesla and the first to be produced in high volumes. The very first production-spec Tesla Model 3 has rolled out of the company's ... Production unit 1 of Model 3 is now built and going through final checkout.